Ksports extreme lightweight caliper comes in differential bore configuration. It is machined from aircraft quality billet, weighs just over 5lbs. each, and has machined in protection grooves for the bridge tubes. 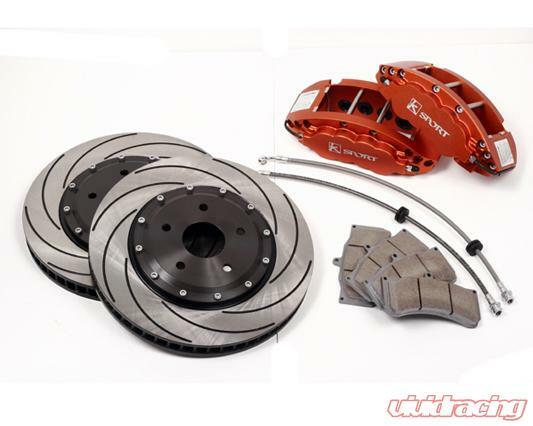 Aluminum pistons, high temperature seals, and stainless steel brake pad wear plates are also standard on each caliper design. 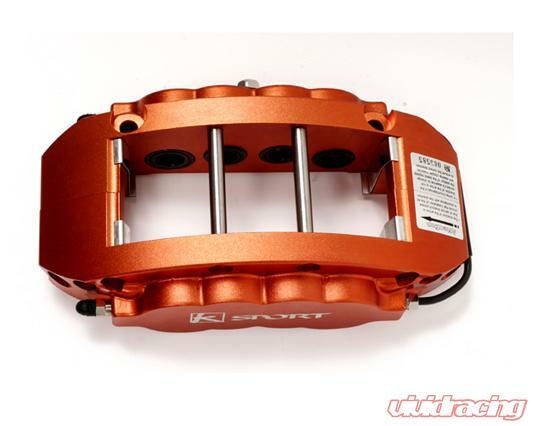 The opposed piston caliper design greatly improves pad wear and caliper rigidity over the OEM design. The stainless steel brake lines stop expansion under pressure. Most applications utilize the 2-piece floating disc assembly, which reduces weight both rotating and unsprung. The floating disc also stops thermal stresses of extreme heat from warping the disc or cupping the braking surface. 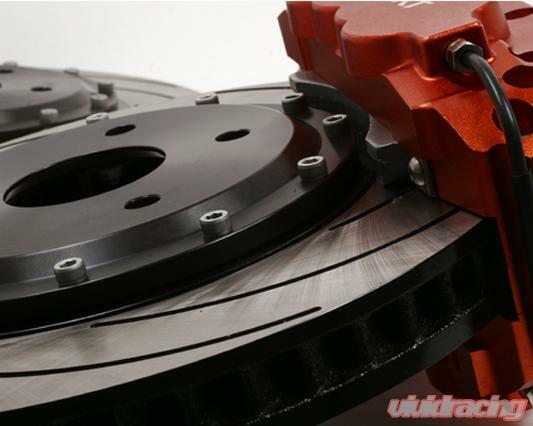 The unique slot design on the rotor greatly reduces braking noise and expels gas and pad debris faster than conventional slot designs. Every rotor is always heat treated and balanced before shipment for the best possible performance. Contact Us with any questions. D.O.T. Compliant Stainless steel brake lines. 330mm (13") large ventilated discs (17" wheels required). 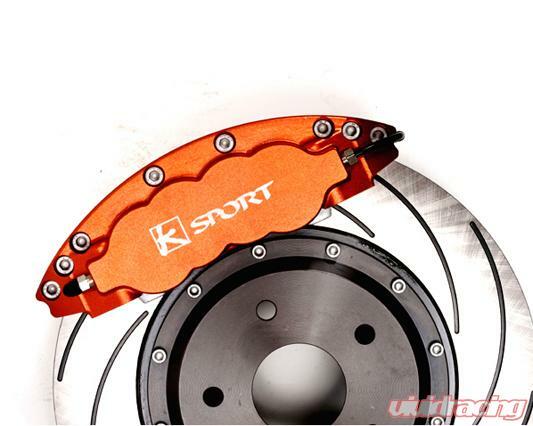 Ksport USA Suspension Company is dedicated to bringing affordable, durable and high performance suspension, brake and air ride systems to the market year after year. Built on a foundation of motor sports, our products have been proven both on and off the track for over 10 years in countries across the globe. Ksport USA was founded in 2003 and started out with 2 employees with a building size of less than 2000 sq. ft. After several expansions, in 2009 we acquired a 25,000 sq. ft. facility in Gilbert, AZ. Our manufacturing facility is over 320,000 sq. ft. and utilizes state of the art machining equipment. We are TUV/ISO 9001:2008 approved which shows our emphasis on manufacturing quality product is our number one priority.